Strip off your shoes and dip your feet into a luxurious bath of sweetness. Our silk syrup soak is a comforting blend of silk, Shea butter and vegetable oils making this a wonderfully indulgent skin treat. Its luxuriously rich lather is infused with pure oils for a softly scented and silky clean finish that creates an instant refreshing experience. 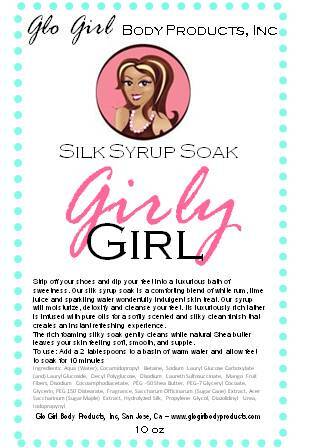 The rich foaming silky soak gently cleans while natural Shea butter leaves your skin feeling soft, smooth, and supple.